I carry two purses almost everywhere. But it is completely justified! No, seriously, it is justified! I carry a big purse because I need room for my planner. 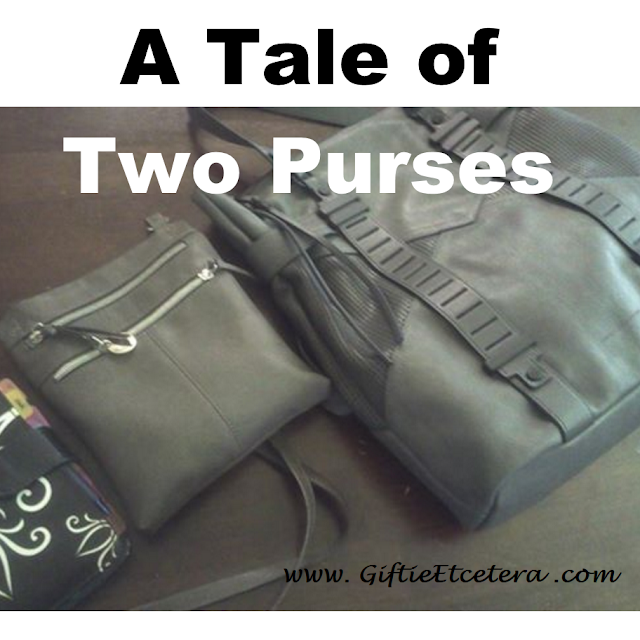 (Note: The linked purse is similar, but not exactly the same as my current one, as my current one is discontinued.) I also have some medical conditions that require me to take extra baggage with me. I carry a small crossbody purse because if I go shopping or need to run in somewhere, I don't want to carry a huge bag. I just leave the big bag in the trunk of the car. The trick for making this work is to get a small enough bag that the bag slips right into the big purse without taking up much space. I use one like this. Two purses seems obsessive, but it really is a great compromise that allows me to bring my planner everywhere. I sometimes take a clutch with me that fits into my handbag if I'm going somewhere and want to leave my big bag in the car - but 2 purses might feel too heavy to be carried all day. Do you ever have that issue? I've been doing this, too. I have a cross body bag that has my phone, wallet, kleenex, lotion, pen and post-its, and sometimes a few other small things. My bigger bag can fit my planner and computer. (and a bit more depending on where I'm going and what I need.) I started doing this first when we were flying. I had my carry-on suitcase and my personal bag, which was pretty large. So I had a smaller purse inside that one that I could carry around the airport on a layover or whatever. The bag I was using as a personal bag was too large to carry around, but I had to get a smaller one because my shoulders needed less weight. Now the one I have is a good size for carrying around in real (non-airport) life.